Apex Legends features a number of different legendary characters including, Pathfinder, Wraith, Mirage and more. All these characters come with their own set of abilities. As EA announced the Apex Legends season 1 on Tuesday, it also brought a host of new content to the game, including a new character named Octane. The new legend called Octane is now available with Apex Legends season 1, but what if you don’t know how to get or unlock the new Octane character in the game? How to Get or Unlock Octane in Apex Legends? Well, since the new Octane character announced with the Apex Legends season 1, Respawn Entertainment didn’t reveal how the new Octane character will be unlocked in the game. However, a tweet from Jay Frechette, community manager at Respawn Entertainment, later confirmed, that Octane will be available to unlock for Legend Tokens or 750 Apex Coins (about $7.50). He also noted that Apex Legends players won’t need to purchase the battle pass in order to get Octane. 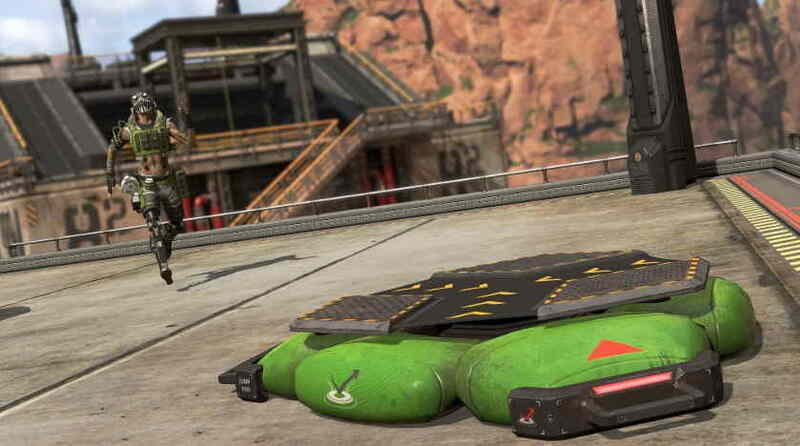 Octane is a new character added to Apex Legends games, that has bee added with the release of the Season 1: Wild Frontier. He has metal legs and comes with different abilities listed below. The Launch Pad is the Ultimate Ability of Octane, which let his squad fly through the air with the greatest of ease. His Tactical Ability ability allows him 30% faster move for six seconds but it costs a percentage of his health when used. On the other hand, Passive Ability provides him the ability to restore health automatically over time. Lastly, Octane’s Ultimate Ability which is the Launch Pad ability lets him throw the launch pads on the ground that allow anyone to boost into the air. We also have a number of items rumored to be coming to the Apex Legends battle royale game, including, Wall Running, New Rocket Launcher Weapon and ‘Community Happy Hour’ and Night Mode etc. The Launch Pad ability provides players the ability to shoot while in the air, that sounds really cool. Below you can check out the Apex Legends Octane Character in action. How do you like the new Apex Legends Octane Character? do let me know in the comments section down below.